A thorough list of answers on the most commonly asked garage door questions. Straight answers given. What are the things needed in order to install an electric opener for my garage door? If you are installing an operator or opener for your electric garage door, you may need to reinforce the top section of your electric garage with an angle iron, or a strut that spans the total length of the top section. This will ensure accurate installation of the opener on your garage door. What makes a DC garage door opener unique? DC means Direct Current. 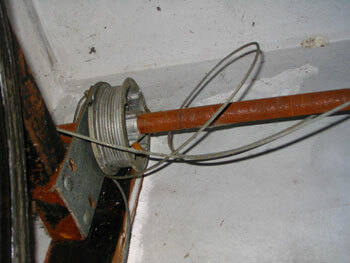 This type of current allows the garage door opener to run only when it is used in opening and closing the garage door. This results in further energy efficiency for the entire household. At the same time, these DC garage door openers come with a soft start and stop capability that helps in smoothing the travel of the door. Why doesn't my door reverse? If your garage door doesn't reverse its movement when there is an obstacle in its way, you should proceed with garage door sensor replacement immediately. It's clearly a problem with the opener sensors and the experts of our service provider in Vacaville recommend full examination of their condition. In some cases, they might only need adjustment. What's the reason of having remote control panels? Liftmaster has manufactured smart panels, which can give you full control over the operation of the garage door opener and the remote according to our company in Vacaville. You can program the remote and the timer, check the temperature and lights. What is the best investment to make for my garage door? If you are getting a garage door installed, make sure to get an automatic garage door with a timer-to-close; this investment will save you days worth of worry in the course of a year. Why is my garage door shaking when operating? There are several causes of this issue. The pulley sheaves may be loose or broken. In this case, our specialists in garage door repair Vacaville recommend immediate repair or replacement. The tracks may have been misaligned. In this case, you will have to readjust them. Can a drive belt simply snap? This is possible, but highly unlikely. The drive belts of garage door openers are made from materials like fiberglass and polyurethane and they are extremely strong and durable. At the same time, opener maintenance should involve inspection for preventing issues. If the belt appears to be frayed or if you notice minor cuts, you should have it replaced right away. How does opener battery backup work? This type of backup is available with devices that have a DC motor. The battery is connected to the motor. When the main power goes out, it starts powering the opener. In this way, the garage door can be opened and closed automatically without any kind of effort. Check how long the battery can last and how many cycles it can power with the manufacturer.